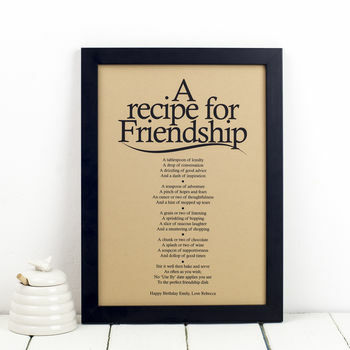 A witty and affectionate friendship poem - in the form of a rhyming recipe! Personalise the print with your own message. It's a unique gift for a friend - whether it's her birthday, Christmas, a thank you or a special occasion, like being a bridesmaid. The A4 print comes unframed but we would be happy to frame it for you. 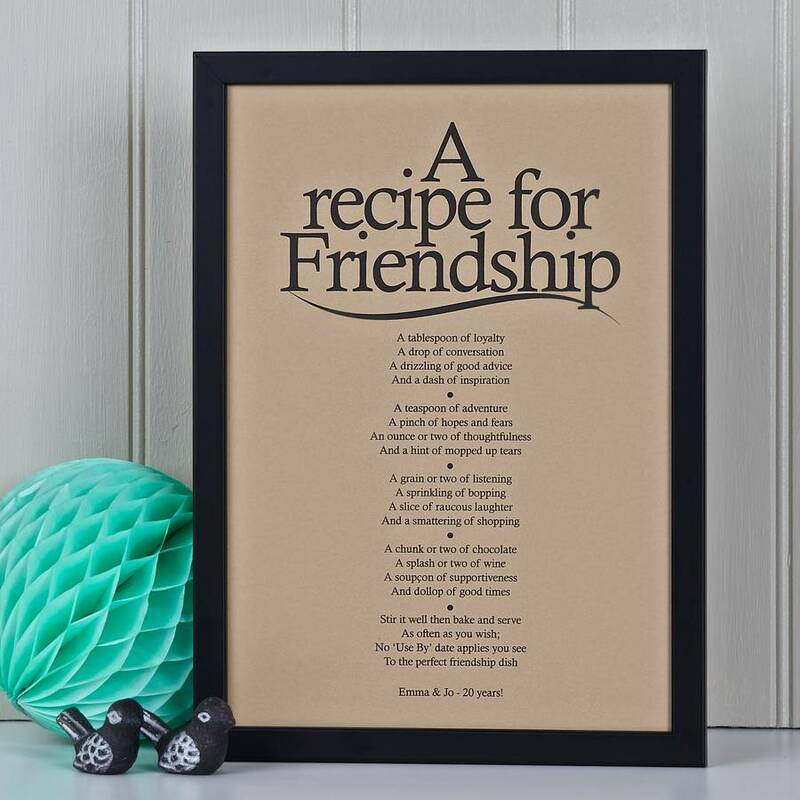 Written by award-winning Bespoke Verse poet Joanna Miller, this poem began life as a present to cheer up a loyal friend. The design is by Tim Furr. 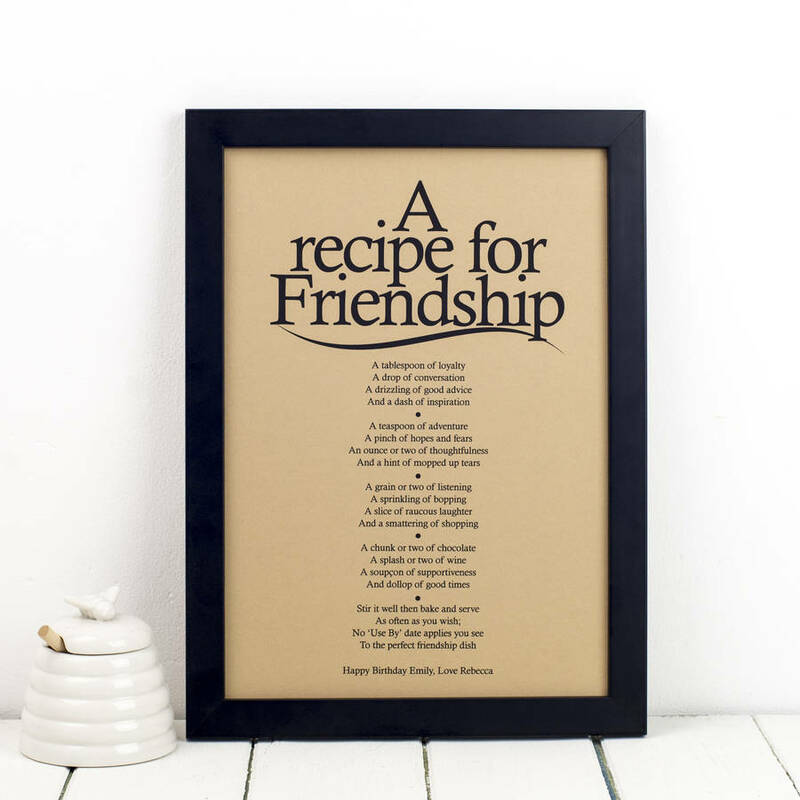 Whether it's a drizzling of good advice or a sprinkling of bopping, every friendship is built on one or more of these precious ingredients! You can add a short personalised message at the bottom of the print for an extra fee - see image for an example. And a dash of inspiration. And a hint of mopped up tears. And a smattering of shopping. And dollop of good times. 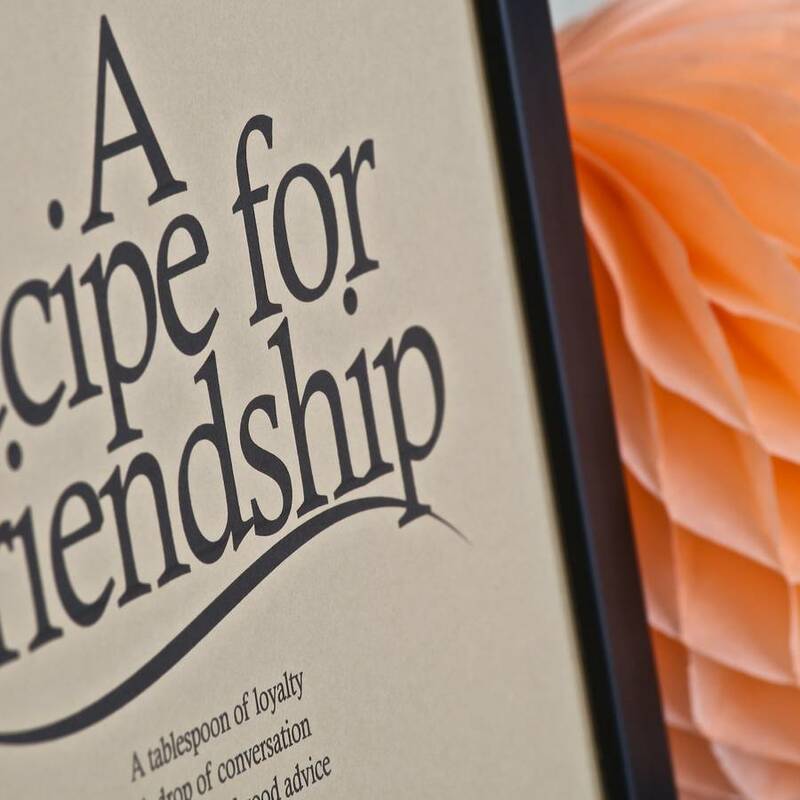 To the perfect friendship dish. 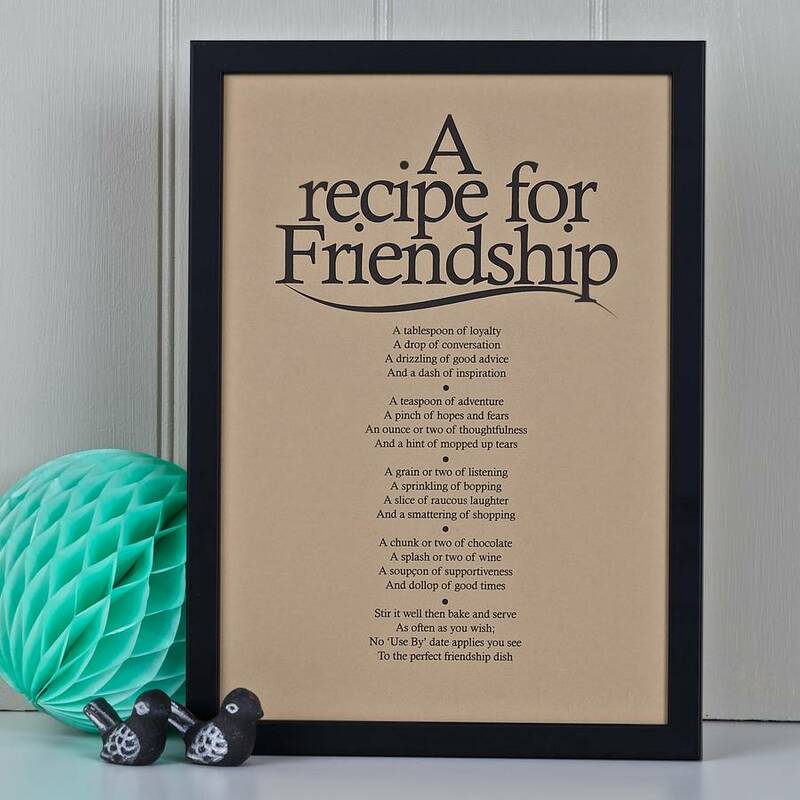 The poem is printed onto the highest quality GF Smith brown A4 card (350gsm) using Dura-Bright waterproof ink. There is no mount around the print. Each print is lovingly produced to order. Unframed prints arrive flat, wrapped in cellophane, in a super stiff envelope. For an extra fee we can frame the print for you. The lightweight wooden frame we use is slim and black. It has a hook for wall hanging. The front is perspex. Each frame is hand finished in the UK by Fine Art Trade Guild commended framers. The product is dispatched in a purpose-made picture box. The print is H30 x W21cm (A4) and when framed is H32.5 x W23.5 x D1.2 cm.